Technology should be a strategic enabler for your company, helping to drive successful performance across the enterprise. However, all too often, business objectives and Information Technology (IT) strategies are out of sync, sub-optimizing the tremendous value IT can provide. 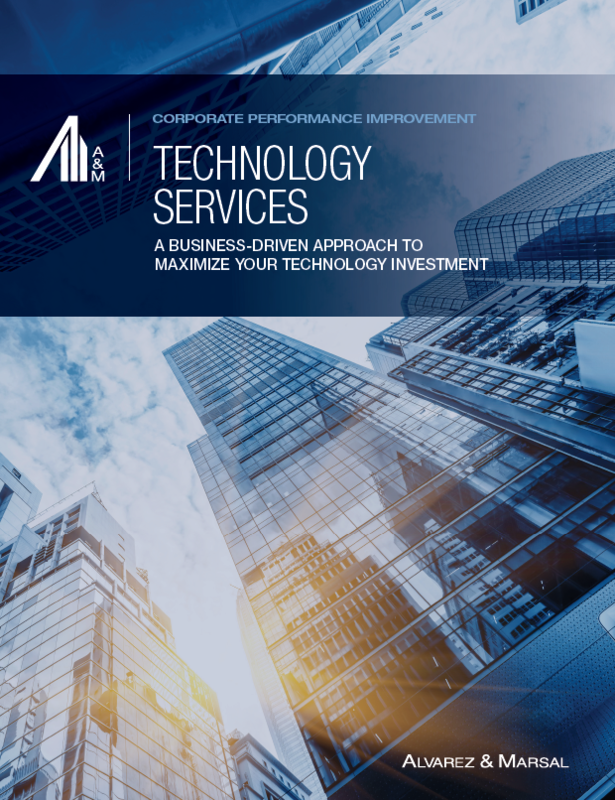 Alvarez & Marsal (A&M) Technology Services helps clients build IT organizations that deliver on the business’ strategic vision and provides independent and objective leadership to support their most critical initiatives.